Deontay Wilder was even lighter than his official weight of 212½ pounds for his heavyweight title defense versus Tyson Fury on Saturday night than we first thought. Wilder weighed 209 pounds, according to the WBC champion, when he stepped on another scale in his dressing room following Friday’s official weigh-in just outside Staples Center in Los Angeles. The 6-feet-7 Wilder also said on a conference call Tuesday that the 6-feet-9 Fury unofficially was 260 pounds when the big British challenger was weighed in his dressing room. The 33-year-old Wilder (40-0-1, 39 KOs), of Tuscaloosa, Alabama, was slightly lighter for the Fury fight than for his previous bout, a 10th-round stoppage of Luis Ortiz (30-1, 26 KOs, 2 NC). Wilder weighed in at 214 pounds for his defeat of Miami’s Ortiz on March 3 at Barclays Center in Brooklyn. Wilder’s weight hadn’t been as low as it was Friday since he stepped on the scale at 207¼ pounds for his pro debut in November 2008. The unbeaten champion’s weight for the Ortiz fight was Wilder’s lowest since his second pro bout, for which he came in at 213 pounds. Fury officially weighed 256½ pounds Friday when he stepped on the California State Athletic Commission’s scale at the Los Angeles Convention Center. That’s the least the 30-year-old Fury (27-0-1, 19 KOs) has weighed for any of his three fights since he came back from a 2½-year layoff. The former IBF/IBO/WBA/WBO champion ballooned to approximately 400 pounds during his hiatus. He also sought treatment for alcoholism, cocaine addiction and depression during his time away from boxing. The Manchester, England, native was nearly 45 pounds heavier than Wilder at their weigh-in Friday. Wilder wasn’t overly concerned about his weight disadvantage because he knew he is the bigger puncher. “Looking the part, I don’t care about that so much because I know I have the power,” Wilder said. “I don’t have big-man power. Some guys, Fury have big-man power. He don’t have punching power, he have big-man power. I don’t have the big-man power, but I do have punching power. And I know that right there exceeds all expectations of me. That, right there, puts me at the top over everything because no matter with me, I’m a dangerous fighter. 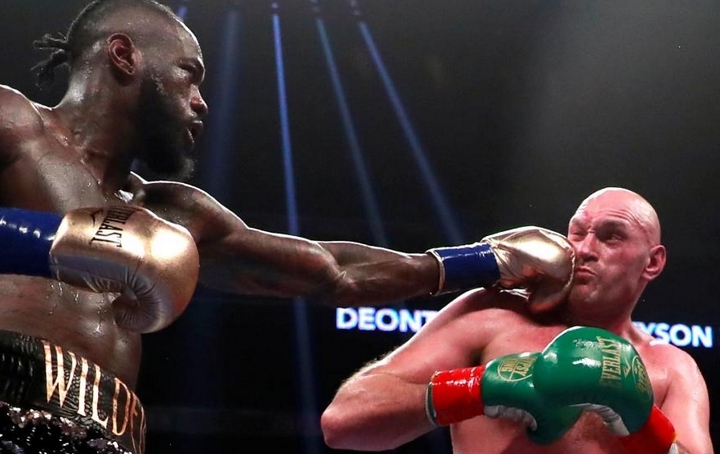 Wilder dropped Fury twice, once apiece in the ninth and 12th rounds, each time when there was more than two minutes to go in those three-minute periods. Fury survived those troublesome rounds and defeated Wilder on the scorecard of Canadian judge Robert Tapper (114-112). California judge Alejandro Rochin scored their fight 115-111 for Wilder, while English judge Phil Edwards had it even following 12 rounds (113-113).